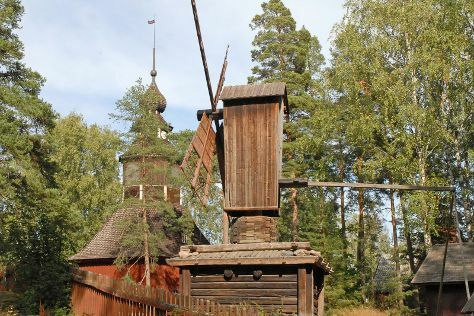 Deepen your sense of the past at sights like Cathedral of Porvoo and Mannerheim Museum. Get some cultural insight at Natural History Museum (Luonnontieteellinen Museo) and Taidekoti Kirpila. Explore Helsinki's surroundings by going to Parola Tank Museum (in Parola), Visavuori (in Valkeakoski) and Porvoo (Castle Hill & Porvoo Old Town). There's still lots to do: get the lay of the land with Walking tours, examine the collection at Helsinki University Museum (Helsingin Yliopiston Museo), get engrossed in the history at Alvar Aalto's studio, and look for gifts at Liopro Finland - Handmade Souvenir. For maps, traveler tips, more things to do, and other tourist information, read Helsinki vacation planning app . If you are flying in from United States, the closest major airport is Helsinki Vantaa Airport. In July, daytime highs in Helsinki are 71°F, while nighttime lows are 55°F. Wrap up your sightseeing on the 16th (Tue) early enough to travel back home.